A data type is a set of representable values. Every representable value belongs to at least one data type and some belong to several data types. SQL supports three sorts of data types: predefined data types, constructed types, and user-defined types. Predefined data types are sometimes called the "built-in data types", though not in this International Standard. Every predefined data type is a subtype of itself and of no other data types. It follows that every predefined data type is a supertype of itself and of no other data types. User-defined data types can be defined by a standard, by an implementation, or by an application. A constructed type is specified using one of SQL's data type constructors, ARRAY, REF, and ROW. The type is either an array type, a reference type or a row type, according to whether it is specified with ARRAY, REF, or ROW, respectively. Array types are the only examples of constructed types known generically as collection types. Incorporating Unicode into client-server or multi-tiered applications and websites offers significant cost savings over the use of legacy character sets. Unicode enables a single software product or a single website to be targeted across multiple platforms, languages and countries without re-engineering. It allows data to be transported through many different systems without corruption." Here we have discussed SQL 2003 standard data types with a short description and example. A character string data type is described by a character string data type descriptor. CHARACTER Character string, fixed length. 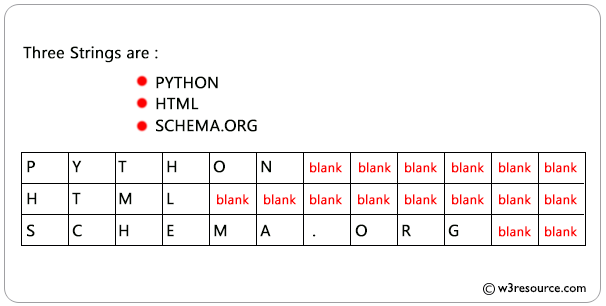 A string of text in an implementer-defined format. The size argument is a single nonnegative integer that refers to the maximum length of the string. Values for this type must enclose in single quotes. CHARACTER VARYING (VARCHAR) Variable length character string, maximum length fixed. CHARACTER LARGE OBJECT (CLOB) A Character Large OBject (or CLOB) is a collection of character data in a database management system, usually stored in a separate location that is referenced in the table itself. NATIONAL CHARACTER type is the same as CHARACTER except that it holds standardized multibyte characters or Unicode characters. NATIONAL CHARACTER VARYING (NCHAR VARYING) NATIONAL CHARACTER VARYING type is the same as CHARACTER VARYING except that it holds standardized multibyte characters or Unicode characters. 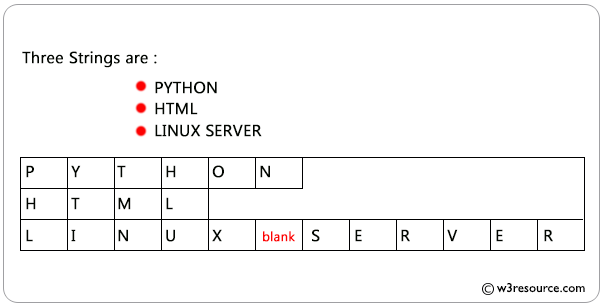 NATIONAL CHARACTER LARGE OBJECT (NCLOB) NCLOB type is the same as CLOB except that it holds standardized multibyte characters or Unicode characters. The data type boolean comprises the distinct truth values true and false .The boolean data type also supports the unknown truth value as the null value unless prohibited by a NOT NULL constraint. BOOLEAN Stores truth values - either TRUE or FALSE. A binary string is a sequence of octets that does not have either a character set or collation associated with it and is described by a binary data type descriptor. BINARY LARGE OBJECT (BLOB). BLOB stores a long sequence of bytes. Numeric data types represent numerical values. INTEGER Represents an integer. The minimum and maximum values depend on the DBMS. SMALLINT Same as INTEGER type except that it might hold a smaller range of values, depending on the DBMS. BIGINT Same as INTEGER type except that it might hold a larger range of values, depending on the DBMS. DECIMAL(p, s) Exact numerical, precision p, scale s. A decimal number, that is a number that can have a decimal point in it. The size argument has two parts : precision and scale. The scale can not exceed the precision. Precision comes first, and a comma must separate from the scale argument. NUMERIC(p, s) Exact numerical, precision p, scale s. The maximum precision depends on the DBMS. FLOAT(p) Approximate numerical, mantissa precision p. Precision is greater than or equal to 1 and the maximum precision depends on the DBMS. REAL Same as FLOAT type except that the DBMS defines the precision. DOUBLE PRECISION Same as FLOAT type (DBMS defines the precision) but greater than that of REAL. col4  BIGINT,           -- no decimal point. The datetime data types represent the date and time of day. TIME WITH TIME ZONE Represents a time of day with time zone. Format : yyyy-mm-dd AT TIME ZONE -06:00. TIMESTAMP WITH TIME ZONE Represents a combination of DATE and TIME values separated by a space with time zone. Format : yyyy-mm-dd hh:mm:ss AT TIME ZONE -06:00. It stores the quantity of time between two datetime values. For example between 10:00 and 12:30 is an interval of 02:30 (2 hours and 30 minutes). There are two classes of intervals. The first one called year-month intervals, includes no fields other than YEAR and MONTH, though not both are required. The other class called day-time intervals that can include any fields other than YEAR or MONTH. Year-month Includes no fields other than YEAR and MONTH, though not both are required. Day-time Includes any fields other than YEAR or MONTH. These intervals can contain a day value, hour value, minute value, second value, or some combination thereof. XML Stores XML data. It can be used wherever a SQL datatype is allowed, such as a column of a table. ( ARRAY, MULTISET ) ARRAY(offered in SQL99) is a set-length and ordered a collection of elements, MULTISET (added in SQL2003) is a variable-length and unordered collection of elements. Both the elements must be of a predefined datatype.